This salad is good. It is “Wow, that was amazing, I want more” good. 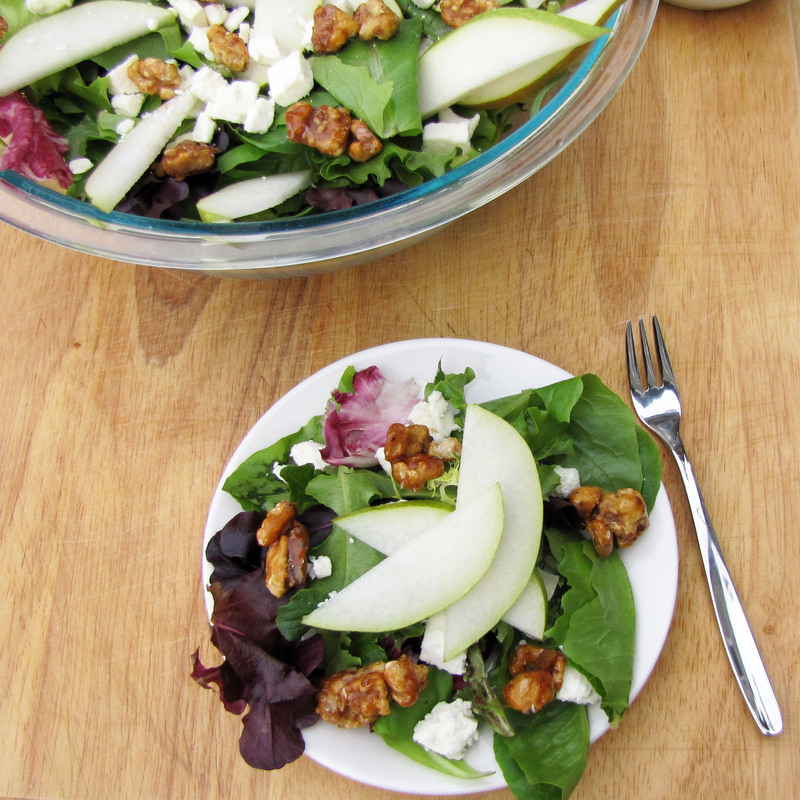 Spring greens are tossed with candied walnuts, feta, pears, and topped with the best salad dressing you will ever put in your mouth in your entire life. Make this for a dinner party and wow people. Take it to a potluck. The possibilities are endless. You will be asked for the recipe, repeatedly. This is a great side dish to a BBQ dinner too, but it is fancy enough for company. Place all salad dressing ingredients into a blender or food processor, and blend for one minute. Refrigerate until ready to use. Assemble your salad. 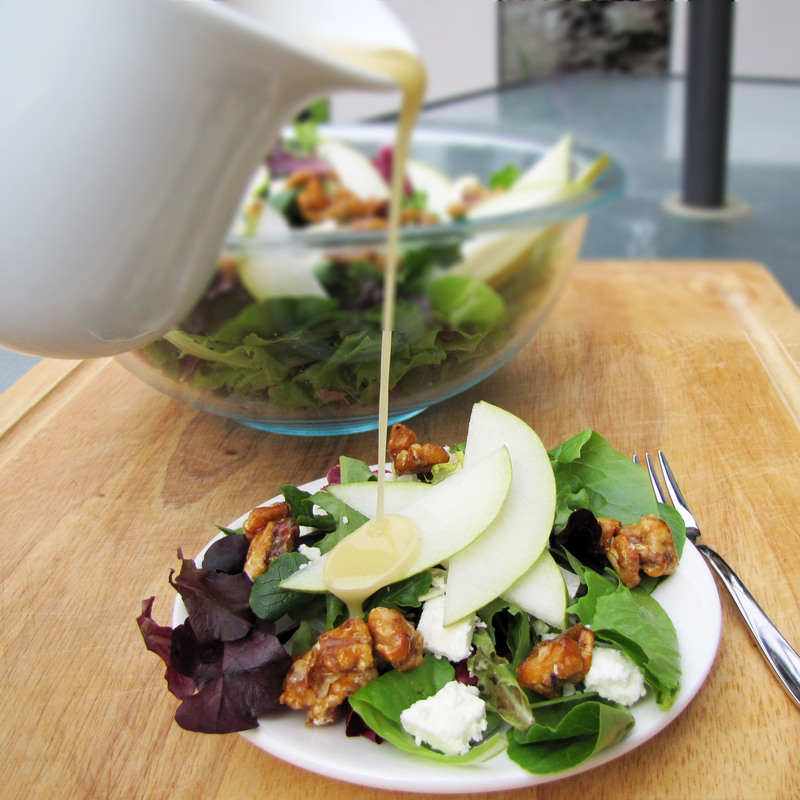 Greens first, then pears, then walnuts, then cheese. 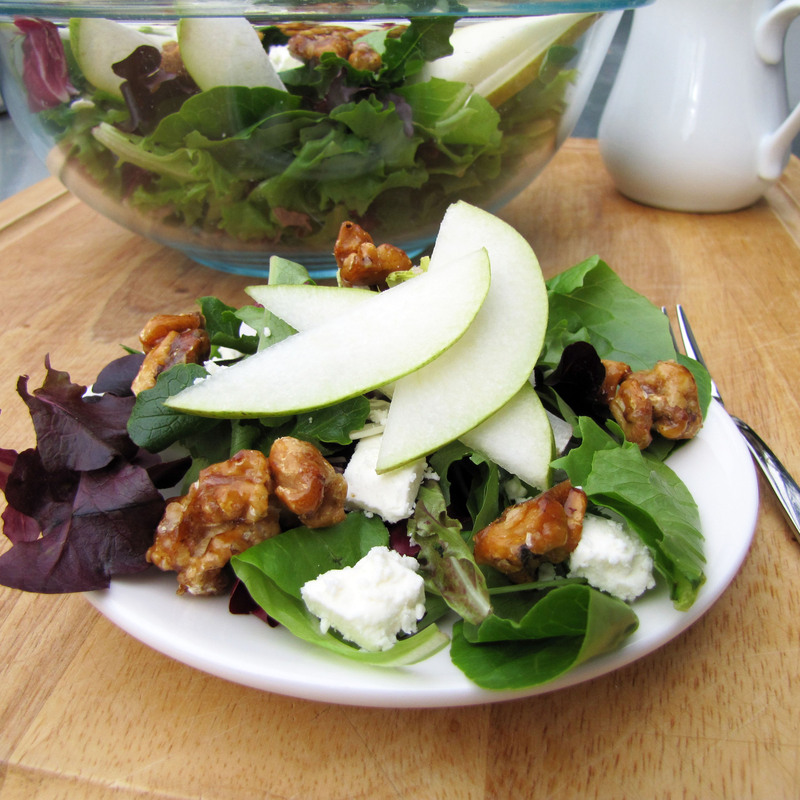 Individually dress each salad with dressing. A little goes a long way. Enjoy! Thank you. This is an awesome salad. 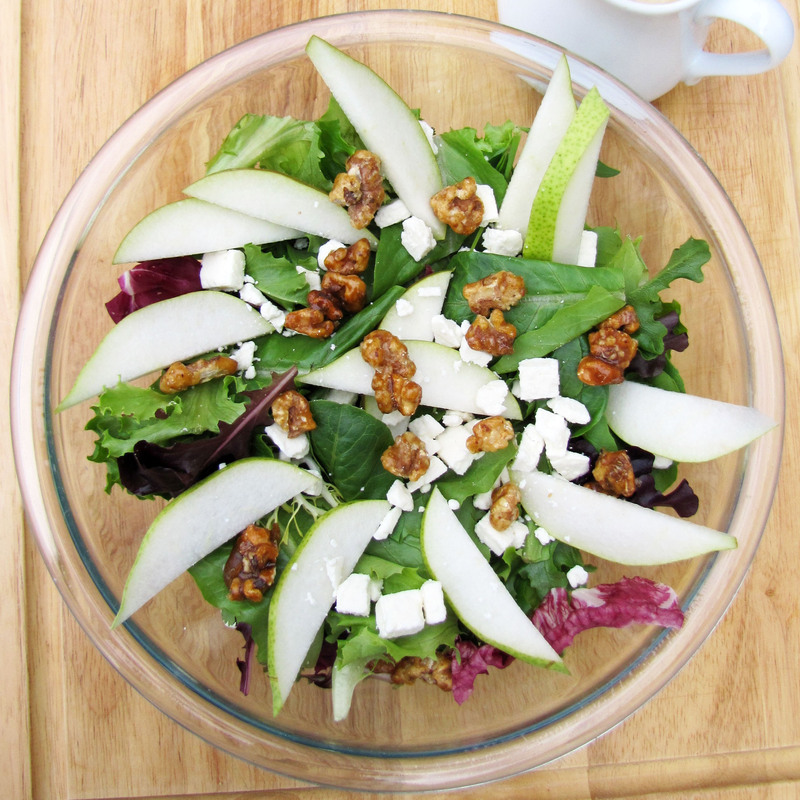 The only changes I made were I used canned pears and pecans (candied on stove – so easy). 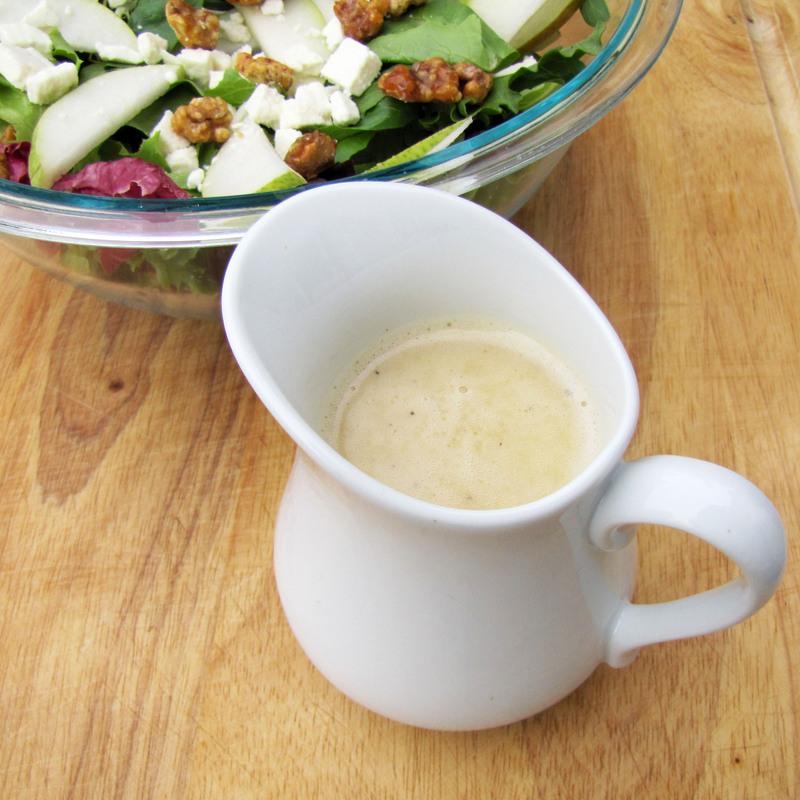 Loved the salad dressing and use it on so many other salads. So glad you liked this, Cheryl. Absolutely love this salad. I use the dressing on other salads too. My family and friends always want the recipe. Thanks for sharing. From Sunny South Africa and owner of GSD too called Ross.